Severe congenital problems and fetal death can result from transmission of toxoplasmosis from mother to fetus, and the tests for parasitic infection. Now, a new study published in the PLOS Neglected Tropical Diseases has shown the efficacy of a low-cost, point-of-care (POC) whole blood test for toxoplasmosis, that performs with high sensitivity and specificity. Rima McLeod, Pritzker School of Medicine, University of Chicago, Chicago, Illinois, U.S., and colleagues tested 205 individuals. The individuals tested included patients, volunteers, and obstetrical patients from Chicago and Morocco known to be infected with T. gondii. The blood was tested for T. gondii infection status using reference tests, standard-of-care serum tests and the new whole-blood POC test obtained by finger stick. Toxoplasmosis results from infection with the Toxoplasma gondii parasite, usually transmitted to humans from eating undercooked contaminated meat or through exposure to infected cat feces. Existing tests for the infection are serum tests, which require blood samples to be processed using infrastructure and technology which can be prohibitive in developing areas and unaffordable in developed countries like the U.S. The whole blood POC test had 100% agreement with the reference and serum-variant testing, and proved highly sensitive and specific, with a sensitivity of 100% and a specificity of 100%. 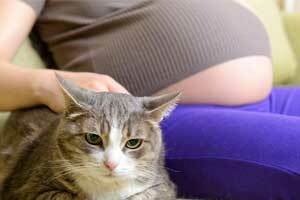 The scores held true even for women with lower levels of anti-Toxoplasma antibodies. However, the test cannot distinguish between acute and chronic infections. The team described how the Toxoplasma gondii parasite can gain access to a human host, either through consuming contaminated undercooked meat or through exposure to feces of an acutely infected cat. Not only does toxoplasmosis infection cause “substantial morbidity and mortality on a global scale,” but it can be vertically transmitted from mother to infant, and can result in chorioretinitis, hydrocephalus, epilepsy, and death. “While conventional testing may be cost-prohibitive — and access to infrastructure, electricity, and equipment may be difficult — point-of-care testing to detect T. gondii infections could “address cost concerns and lead to better clinical outcomes through improved access to screening,” concluded the authors.